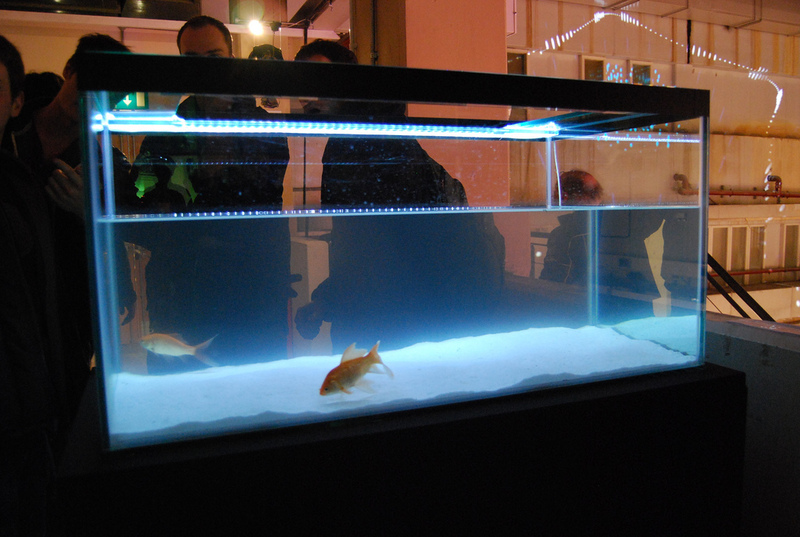 Neon Tetra is a self-initiated project with Midnight and Silvere Letellier for Kinetica Art Fair. 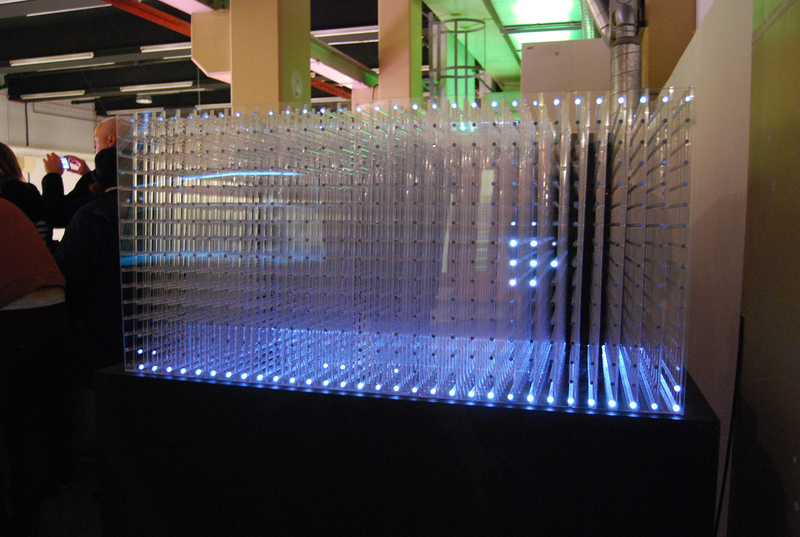 The installation is a diptych consisted of an aquarium with fishes and an interactive light sculpture made of 1024 LEDS. 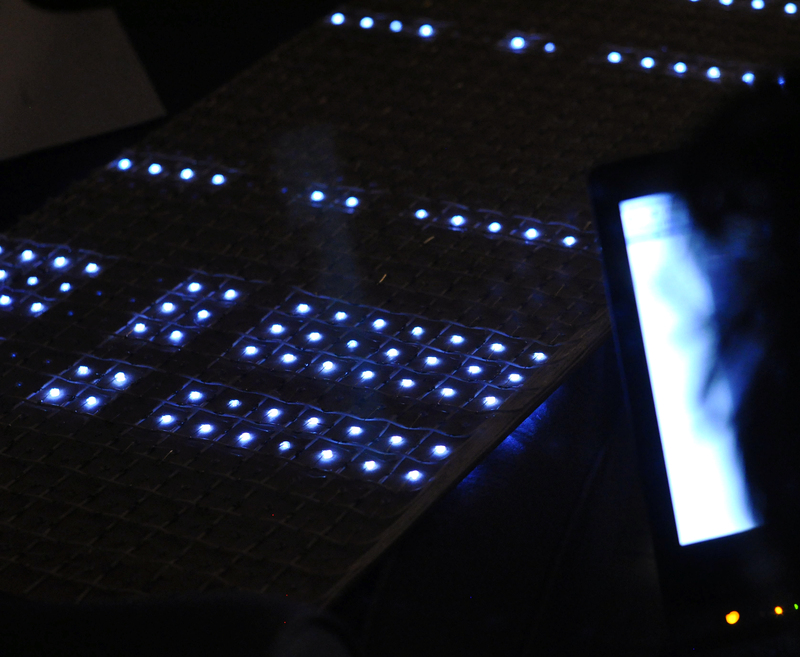 The interactive light sculpture shows in live the spatial position of the fishes thanks to a motion sensor.